It used to be that there was a discrete wildfire season, a period of time where fire risk was highest. 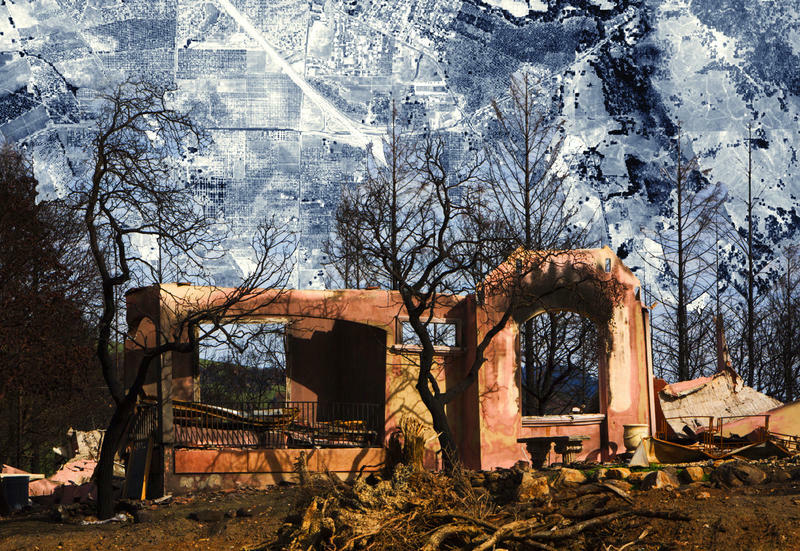 Throughout the country, that season is getting longer, and in many places now, wildfire season is happening year-round. Fires are getting bigger, and they’re burning hotter. 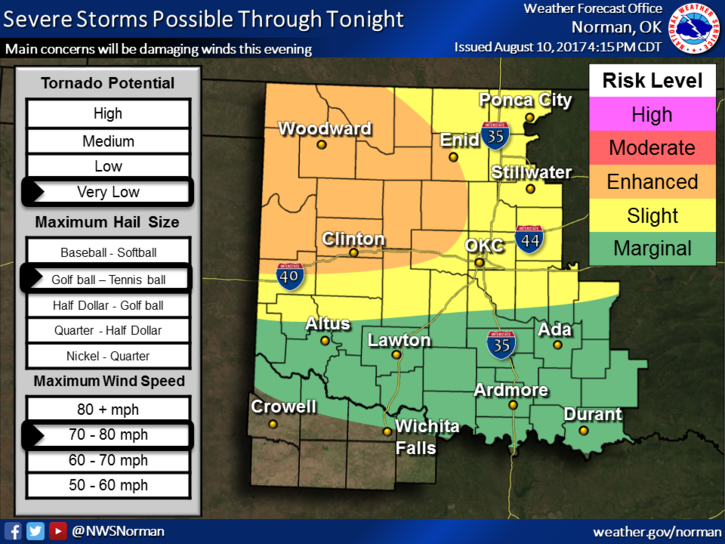 Two rounds of potentially severe weather could hit northwestern and central Oklahoma this afternoon and evening. The vast majority of Oklahoma’s tornadoes occur in the spring. Since 1950, approximately 69 percent of the state’s tornadoes have formed in March, April and May, according to the National Weather Service. However, a “secondary storm season” arrives in the autumn, especially in the months of September and October. Sweltering heat is encompassing central and eastern Oklahoma. A heat advisory is in effect until Saturday, July 22 at 8:00 p.m. Afternoon highs could reach as high as 100 degrees, and heat index values could make it feel like 105 to 108 in the afternoon and early evening hours. When meteorologist Rick Smith was growing up in Memphis in the 1960s and '70s, he was terrified of tornadoes. 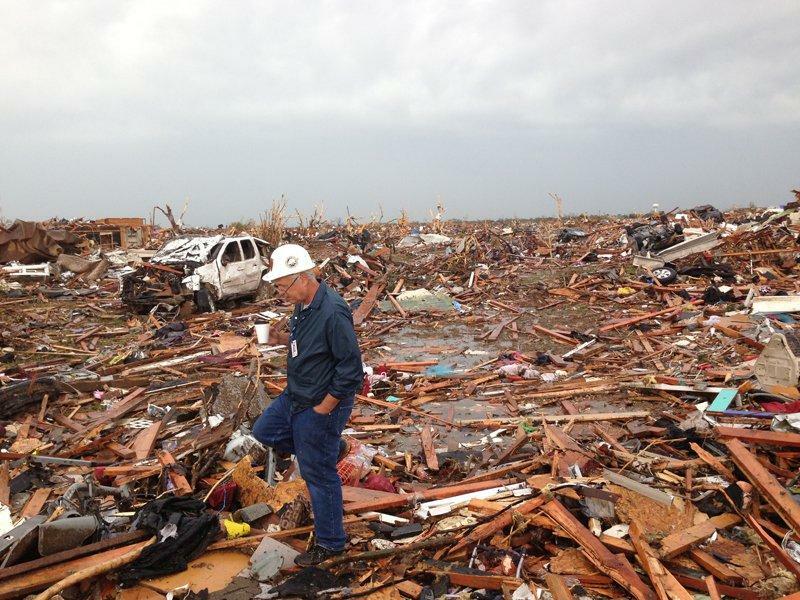 When storms approached, he glued himself to the weather radio and TV, gathering as much information as he could. At night, he cowered in his parents’ bed, covering his ears to block out the sound. “It was like this mysterious, loud monster at night that you just didn’t know exactly what it would do to you,” Smith said. 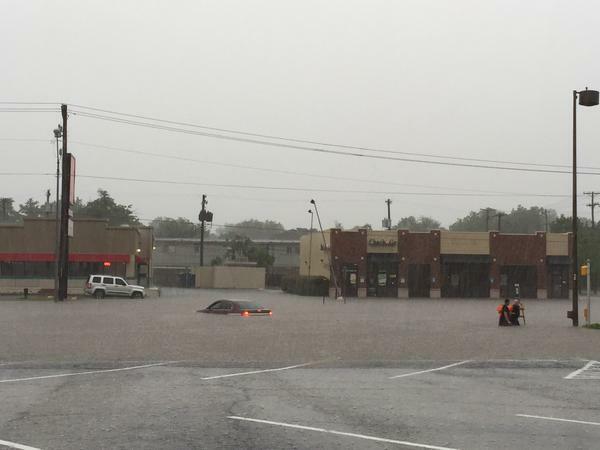 A night of storms brought power outages and damage to trees, buildings and infrastructure to central Oklahoma--and it's not over yet. Oklahoma Gov. Mary Fallin has declared a state of emergency in response to a night of heavy storms that damaged power lines and homes across the state. 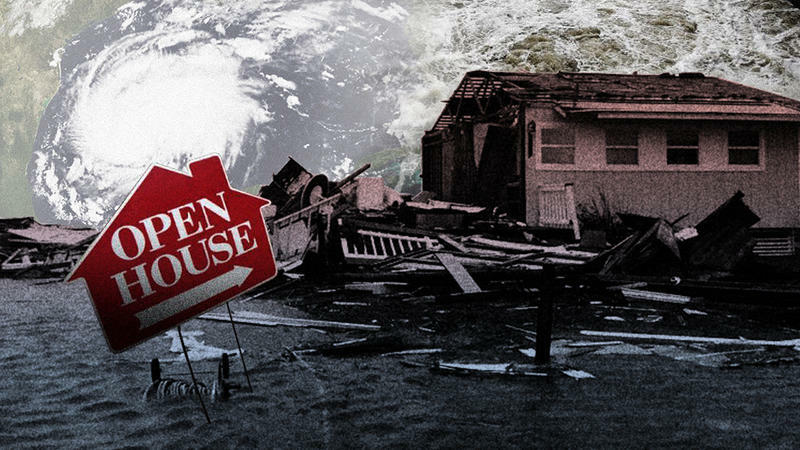 The state of emergency will last for 30 days and allows state agencies to make purchases that will contribute to disaster preparedness and relief, according to a press release from the governor’s office. 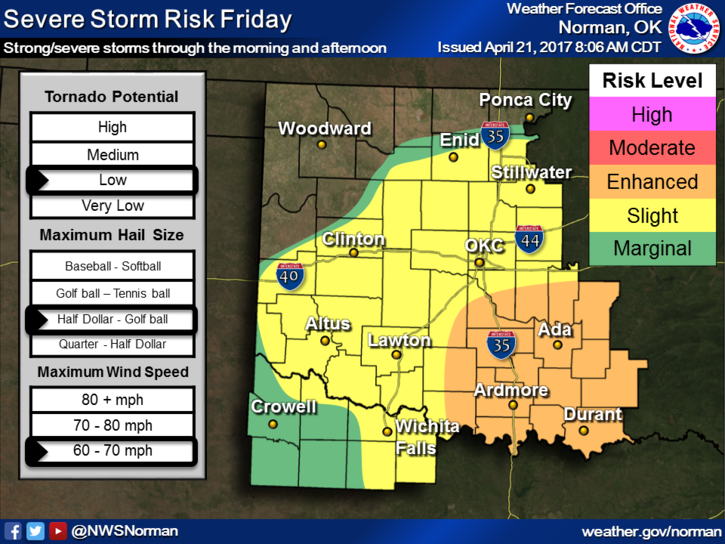 Areas of central and southeastern Oklahoma could receive between 2 and 4 inches of rain today, and the National Weather Service is forecasting hail up to the size of golf balls. Winds up to 70 miles per hour are possible. 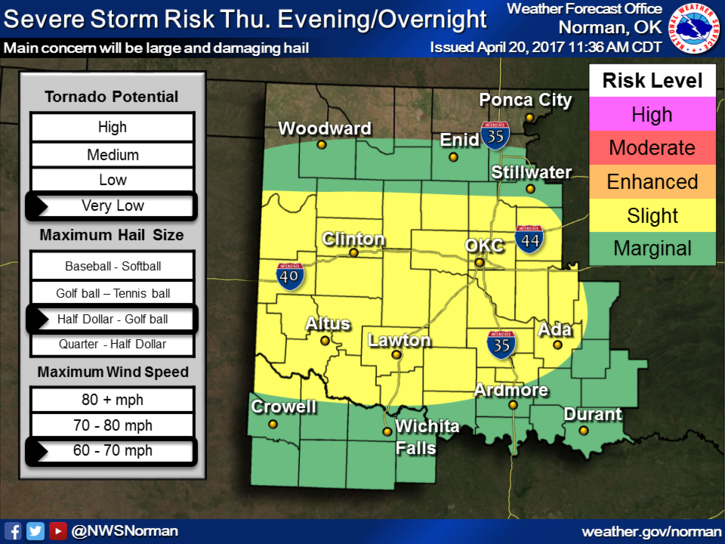 Severe storms on Thursday night and Friday could bring hail the size of golf balls to central and eastern Oklahoma. 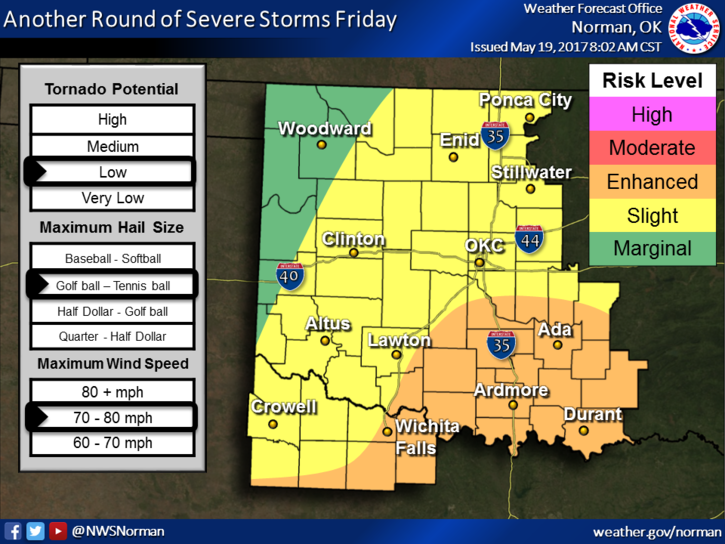 The National Weather Service is forecasting the chance of severe storms with 60 to 70 mile-per-hour winds and the chance of hail, starting on Thursday at 10 p.m. The storms may continue until 6 a.m. on Friday. 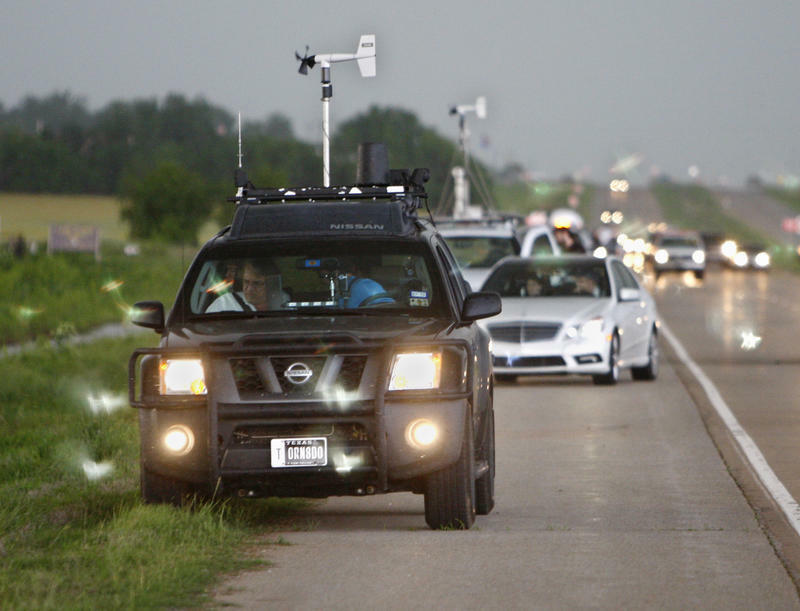 Gary England: Storm Chasers Provide "Eyes On The Ground"
Storm chasers continue to have a central role in documenting tornadoes, according to a leading Oklahoma meteorologist. 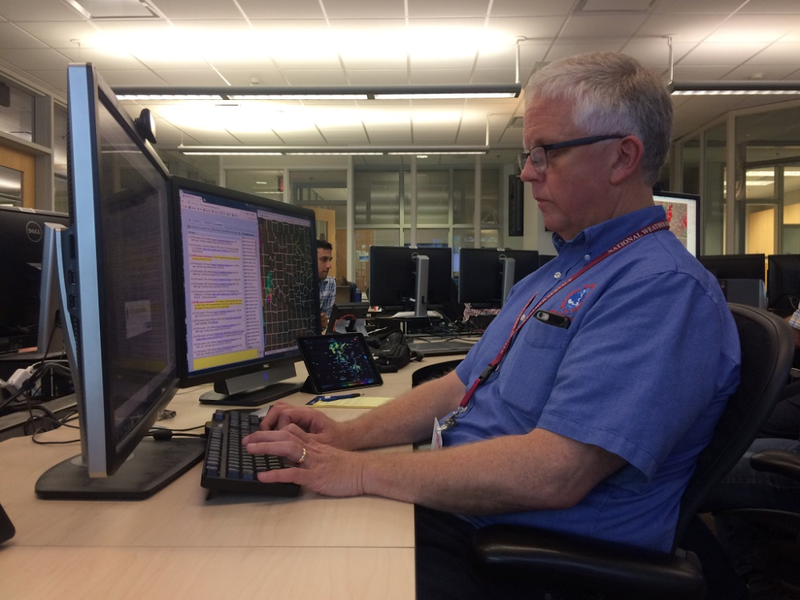 Gary England told KGOU that storm chasers give forecasters and meteorologists “eyes on the ground” that radars and other technological advances cannot provide. A human in the field sends back an immediate eye witness account of what is occurring during storm, like a wall cloud, a funnel cloud or a tornado on the ground. 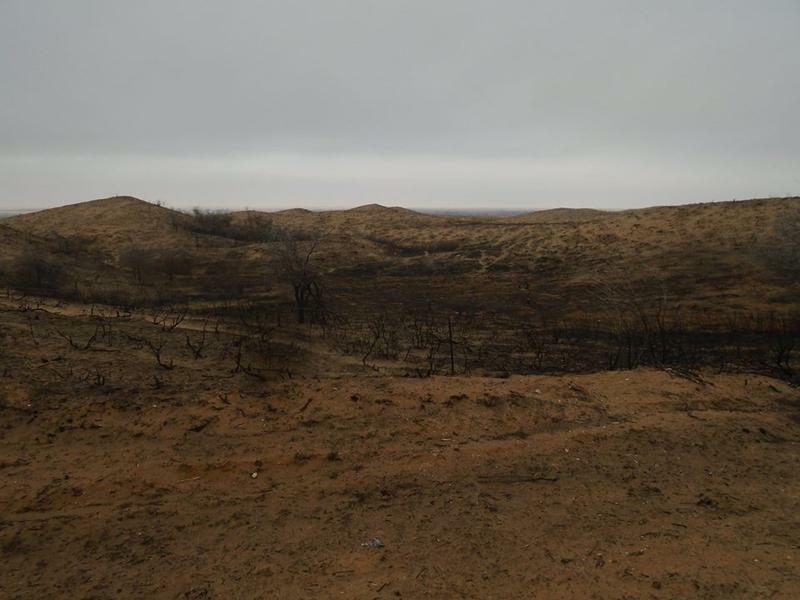 A massive wildfire burned more than a thousand square miles earlier this month in northwestern Oklahoma, killing one person and countless animals, torching building and forcing evacuations. And this week, a fire in eastern Oklahoma has burned at least nine homes. 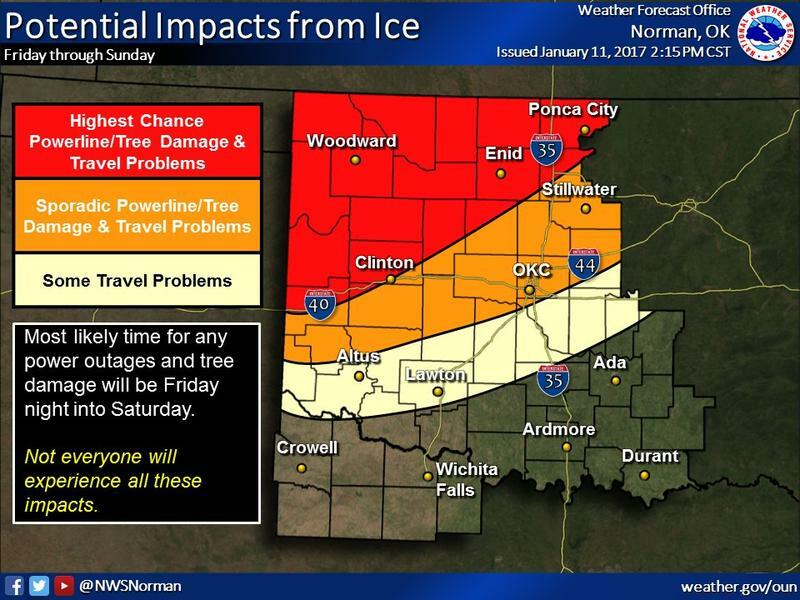 A slow moving winter storm is forecast to move into Oklahoma early Friday morning and linger in the state through the weekend. 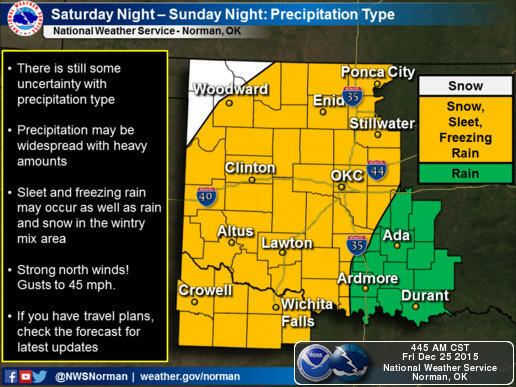 The National Weather Service in Norman has issued a Winter Storm Watch which will be in effect from Friday morning until Sunday. Heavy rainfall, rain, freezing rain, and a mixture of freezing rain and rain are all expected and may disrupt travel this weekend. An excessive heat warning is still in effect for parts of north central and northeastern Oklahoma, and much of the state is under a heat advisory as temperatures in upper 90s continue to grip the state. 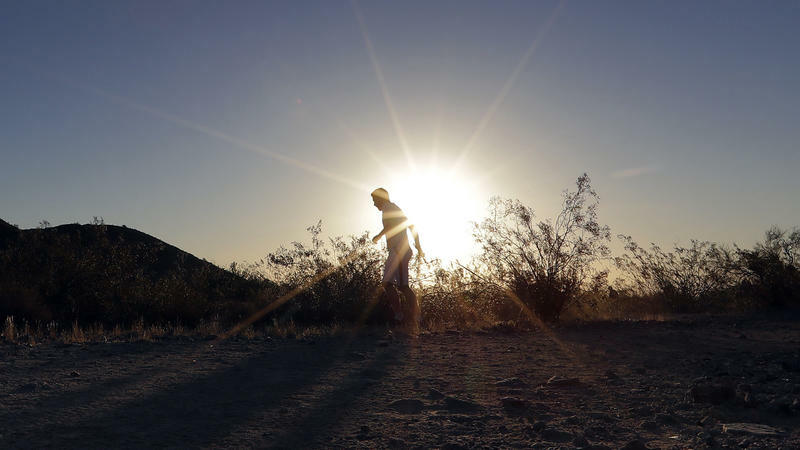 Heat index values in some areas could reach as high as 113 degrees. 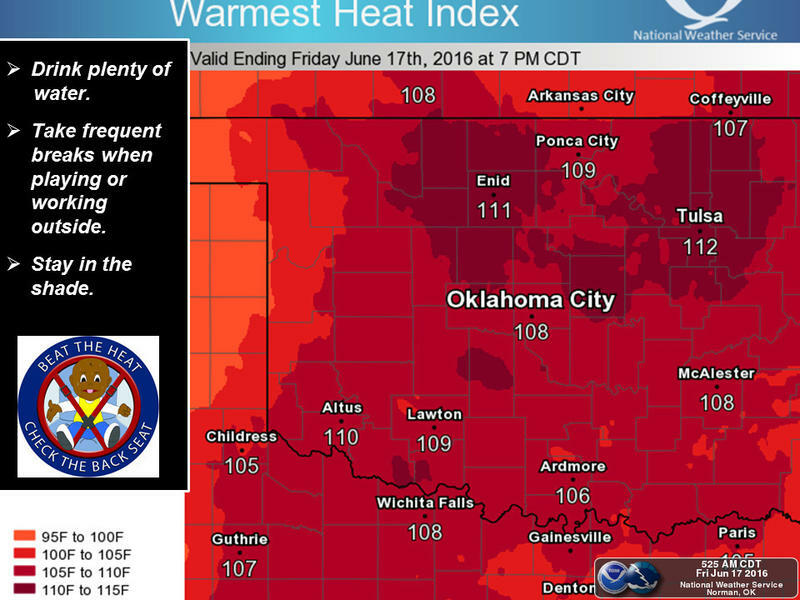 Both Oklahoma City and Tulsa could see heat indices in the triple digits. The excessive heat warning will be in effect until 8:00 p.m. Friday evening. The heat advisory will be active until 8:00 p.m. on Saturday. 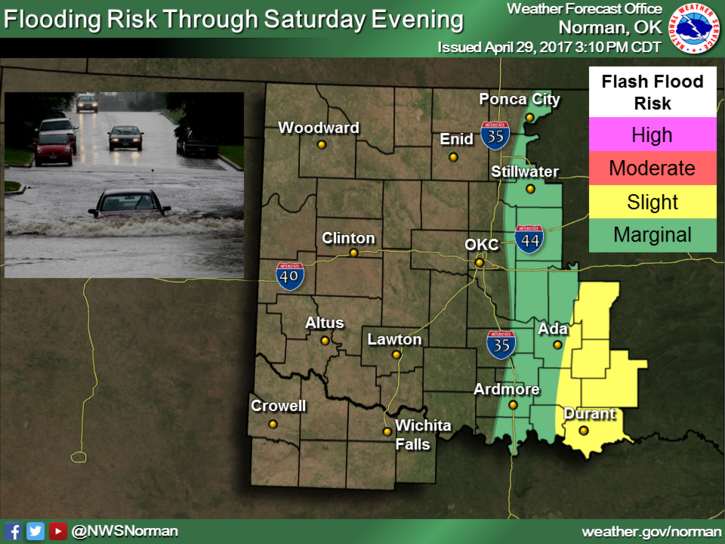 The National Weather Service has issued a winter storm watch for western and central Oklahoma as a strong storm system approaches the state. 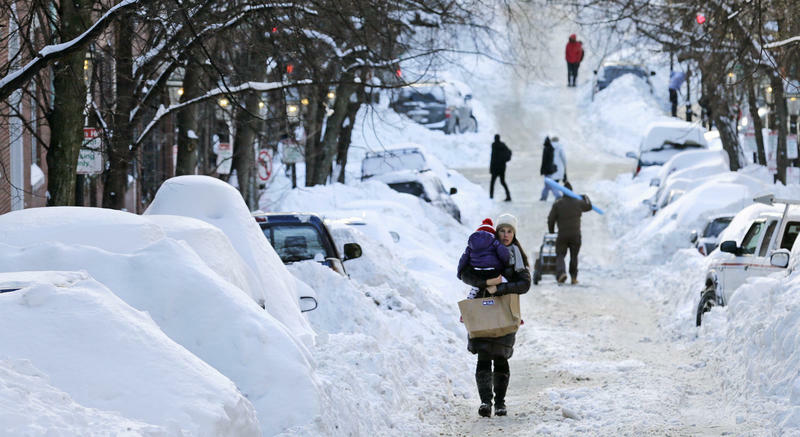 Boston-area journalist Barbara Howard recently wrote an essay for Cognoscenti, the ideas and opinion page for WBUR in Boston, about an experience she had driving home from work at 1 a.m. after the latest blizzard. She stopped to pick up a young mom holding a sleeping toddler at a bus stop. She tells Here & Now’s Robin Young about that encounter, snow and inequality.